And I had banished my migraines, thrush, hair loss, dry eyes and fatigue. Hypothyroidism had seemed the culprit, but my thyroid function was normal. So if low thyroxin had not been the cause, what was? Well, health niggles can be explained away to seasonal affective disorder (SAD), borderline diabetes, food intolerances or an autoimmune disorder. However, blood tests and visits to specialists fail to be conclusive. After I started losing my hair, I disposed of my cabinet of medication, and took a different route. 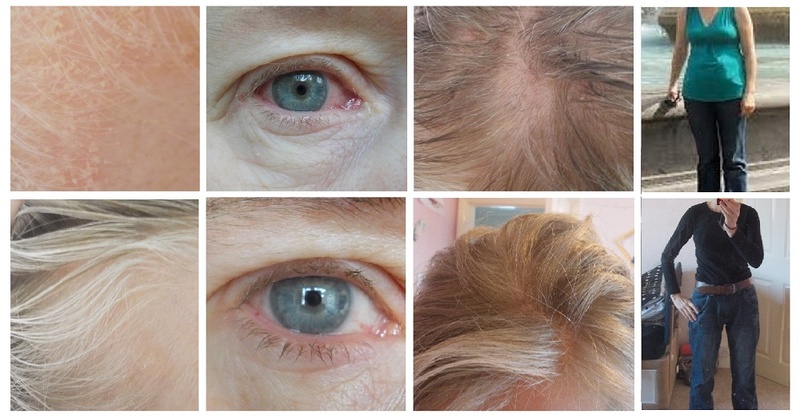 The images show improvements to my health after making changes: flaky, itchy skin, recurrent conjunctivitis, hair loss and a stubborn spare tyre around my middle. Estrogen dominance: due to high-sugar diet and xenoestrogen intake. Cortisol dominance due to excess physical, emotional and work stress. Candidiasis: due to high sugar and junk diets. Nutritional gaps in the poor Western diet. The diets I trailed were: the PH diet, the low carb diet and the anti-candida diet. After 50 days of testing diets and health supplements on this blog, I discovered that these diets actually lowered my body temperatures even more. The antifungal supplements and probiotics also did not work unless the body’s temperature had been restored. I now have published my new book in order to share with you what I have learned after keeping fastidious records of how various foods impacted upon my basal body temperature on this blog. 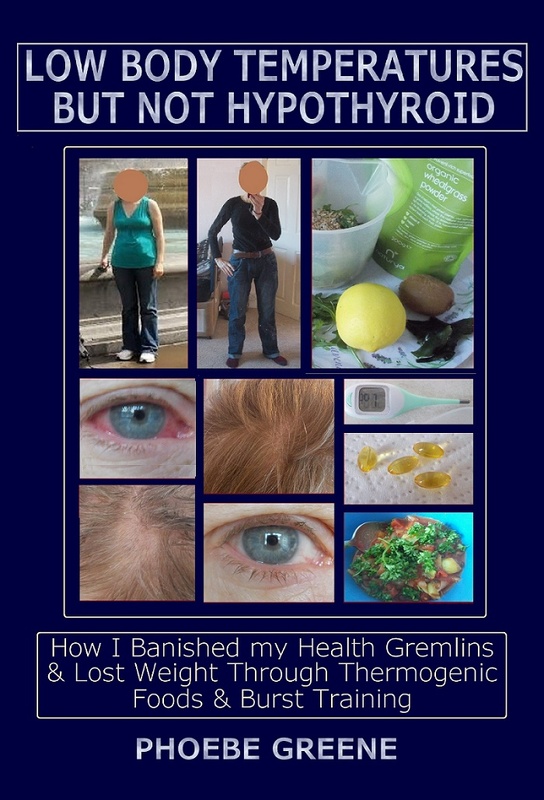 This book is written for those who suffer the health-gremlins without a known cause despite health checks and blood tests. You will find the hard truths here, one of which is that your health is not that far away. With 30,000 words and over 100 images. Note: always seek the advice of your doctor or specialist before making changes to your medication, diet, exercise or lifestyle.